Workers in dangerous jobs seem to have a higher propensity to get hooked on opioids, as well as overdosing, a new study has found. The study by the Massachusetts Department of Public Health found that of the 4,284 opioid-related overdose deaths among workers in the state between 2011 and 2015, more than 25% involved people working in the construction and extraction industries. That works out to about 150 opioid-related deaths per 100,000 workers. But construction workers were not alone in their susceptibility to get hooked on opioids and overdose, and other occupations had high rates of opioid overdose deaths, as well. The study should serve as a reminder that employers of high-risk occupation workers should work closely with their insurers and treating physicians to have a plan for the use of opioids if necessary, and a plan to wean them from the painkillers as soon as it’s feasible. 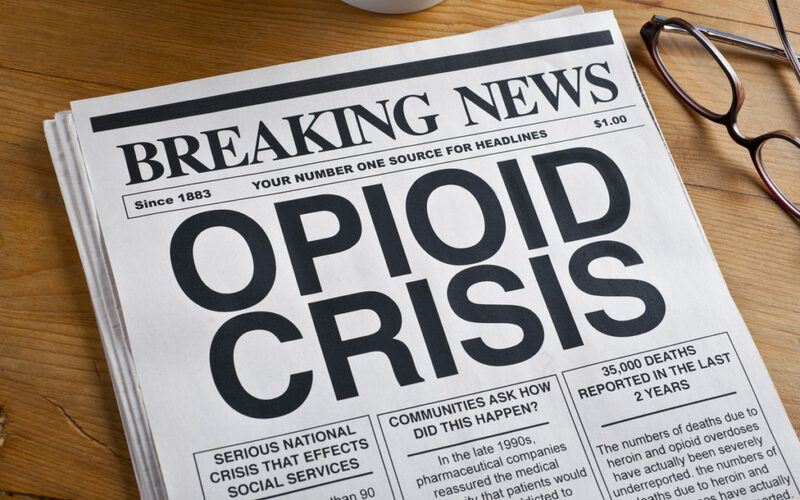 Massachusetts initiated the study as part of its efforts to reduce the meteoric rise in opioid-related overdose deaths that has been plaguing every state in the union. The major takeaway from the report was the strong association between an occupation’s injury rates and opioid overdose death rates. Workers within occupation groups with fewer than 50 injuries per 10,000 full-time workers had an opioid-related overdose death rate of 9 per 100,000, while workers within occupations with 200 or more injuries and illnesses per 10,000 workers had an opioid-related overdose death rate of 68.4 per 100,000. While the number of deaths in each occupation is notable, the more important factor to look at is deaths per 100,000 workers, since the number of workers in each occupation can vary greatly. The average among all occupation groups was 25 overdoses per 100,000 workers. A significantly higher death rate was observed among workers in occupation groups with high job insecurity compared with workers in groups with low job insecurity. A significantly higher opioid-related overdose death rate was observed among workers in occupation groups with lower percentages of workers covered by paid sick leave. High rates of overdose death were observed among workers in the $10,000- $19,999 and $20,000- $29,999 income ranges. Different studies have found that workers’ compensation claims involved more opioid use than claims in non-workers’ compensation settings. One study made a correlation with the number of workplace injuries and severity of injuries with workers starting to take opioids for pain and eventually getting hooked. The report also links jobs with a high prevalence of musculoskeletal pain, such as lower-back pain, with the need to work while in pain, which it found contributes to the use and potential overdoses of opioids. Many states have created databases for doctors to consult to check if a patient has been prescribed opioids by another physician recently, in an effort to curtail “doctor shopping” for opioids. Workers’ comp insurers have also been working with treating physicians to put workers on specific regimens designed to reduce the chances that they become addicted if they are prescribed opioids, by weaning them from the drugs when feasible. As an employer, if one of your workers has an injury that leaves them in pain, talk to us or your claims adjuster about how the insurer works with the treating physician in terms of opioid prescriptions. Employers in high-risk injuries may also want to hold training sessions about the dangers of opioids. Finally, a big concern is workers taking opioids while on the job. An article on the Massachusetts report by The Boston Globe included comments by Dr. Zev Schuman-Olivier, medical director for addictions at the Cambridge Health Alliance, who has many patients in the construction industry who tell him drugs are readily available on job sites.